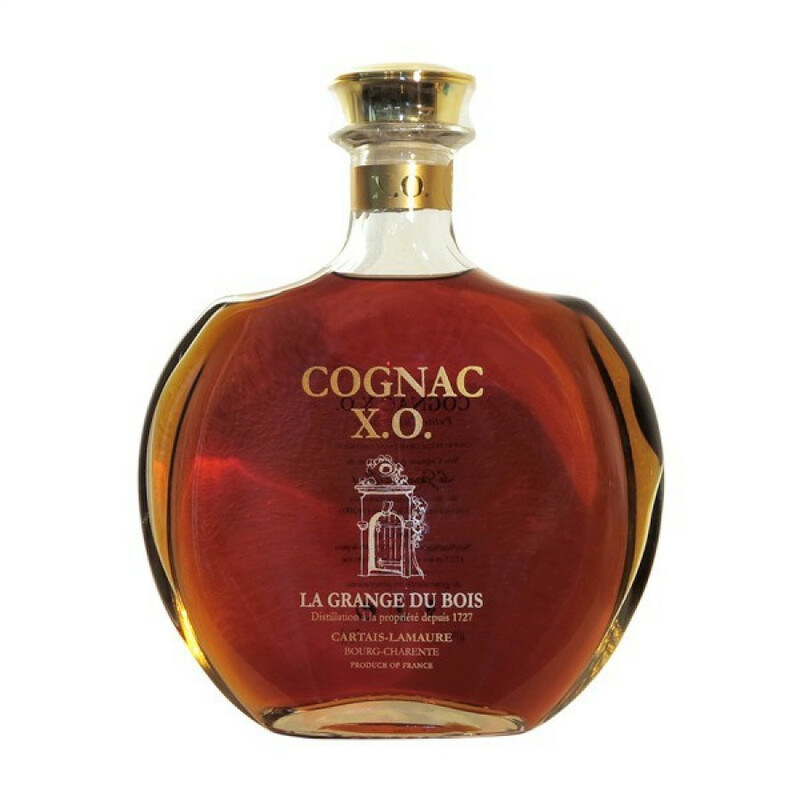 La Grange du Bois XO Cognac is a blend of solely Petite Champagne eaux-de-vie, each component having an average age of 30 years. This is a great, old quality cognac, and one that offers exceptional value for money. On the eye it delights with a shiny, old gold color, and it continues to please each and every sense as you taste. It develops with a complex bouquet, and - naturally - a well marked rancio with scents of honey, nuts, and vanilla. On the palate it's characterised with a long, strong persistence - it's a great cognac to accompany your favorite cigar. And there's no need to keep this cognac hidden away in a cabinet, as it's presented in a delightful eye-pleasing decanter. If you've not yet heard of the house of La Grange du Bois, then this cognac will surely convert you to being a fan. This cognac was awarded the silver medal in 2000.